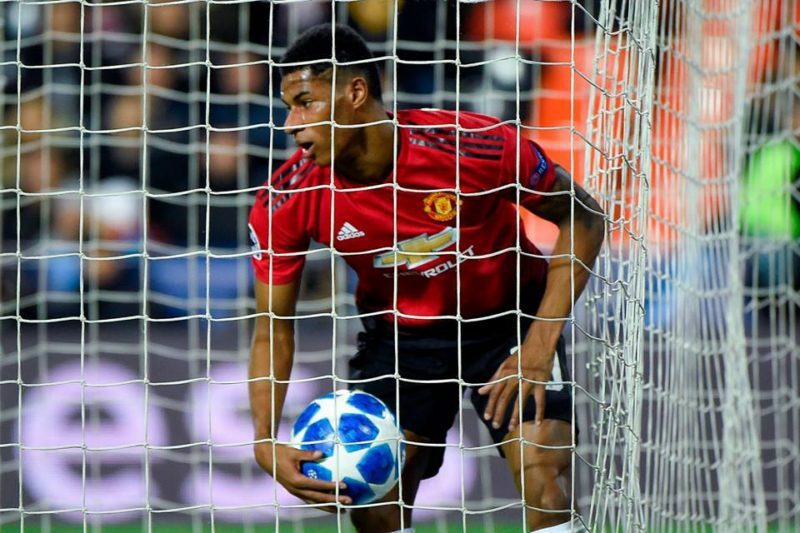 Manchester United squandered the chance to win their Champions League group on Wednesday after a lacklustre display got what it deserved in a 2-1 defeat to Valencia. After the game, Mourinho seemed to aim a dig at those players to have come in. “Nothing surprised me at all,” he said. Carlos Soler’s driven shot and a Phil Jones own-goal put Valencia two up early in the second half before United came alive in the final minutes after Marcus Rashford’s header gave them brief hope. Perhaps Mourinho and his players had assumed Juventus would win away at Young Boys but the Italians’ surprise 2-1 loss meant United had first place within their grasp. Instead, they go through as runners-up into Monday’s draw for the last 16, with Real Madrid, Barcelona, Bayern Munich, Paris Saint-Germain, Borussia Dortmund and Porto all potential opponents. As group winners, they would have had Atletico Madrid, Roma, Schalke, Ajax or Lyon. “Apart from a couple of clubs that are clearly much better than the others, I don’t think the draw will be significantly different,” Mourinho said. Valencia had failed to score in six of their previous eight Champions League games while poor form in La Liga has their coach Marcelino fighting for his future. “We needed this winning feeling back in our game,” said Marcelino afterwards. United had the occasional opening, the best of them falling to Pogba, who somehow stabbed wide after Fellaini’s header offered him a tap-in from two yards at the back post. Soon after it was two, Soler’s pass landing between Sergio Romero and Jones, with Batshuayi on the chase. Jones panicked, met the ball on the slide, and pushed it past his approaching goalkeeper and into his own net. Juan Mata could even have equalised Pogba’s scooped ball over the top left him alone in front of goal but he missed the ball as he tried to volley on the turn. A point would have been more than United deserved.